Say It Loud: They’re Big, Beautiful and PROUD! 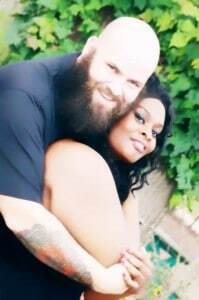 So at the end of Podcast Season 1 we shared with you a brief excerpt from our interview with married Swirlers JJ and Dani Tatum, one of the most striking couples we’ve ever seen. They’re Big. They’re Bold. They’re Beautiful. They’re Proud. Here’s Part 1 of our interview with Mr. and Mrs. Tatum. JJ and Dani share how they met on Facebook. Dani, a plus-sized alternative model, also discusses how she “owns” her beauty – and encourages all Black women to do the same. 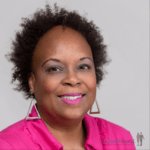 She shares how she builds and maintains a healthy sense of self-esteem. Her husband JJ praises her beauty and makes no bones about the fact that he believes she’s the most gorgeous woman on Earth. In this episode, Dani talks about owning your beauty, and JJ talks about owning your love. This is a “can’t miss” episode – stay tuned for Part 2! To view more of Dani’s stunning shots, visit her Model Mayhem page by clicking here. To visit her fan page on Facebook, click here.